The beautiful city at the Elbe river belongs through the wealth of its cultural and art treasures as well as its attractive situation to the prettiest cities of Europe. 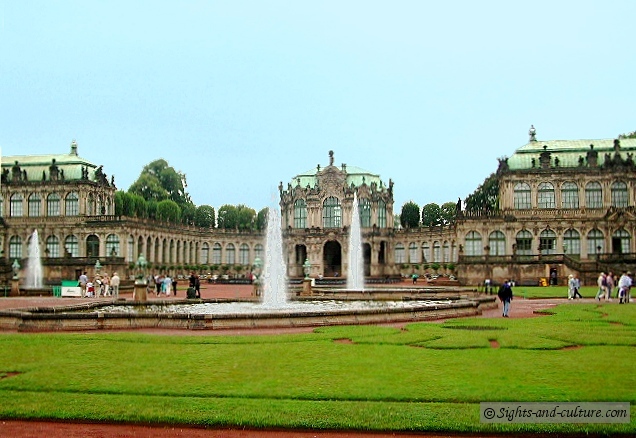 Dresden has been the residence of sovereigns and kings already since 1425 At the end of World War II Dresden was almost totally destroyed within 3 days fire-bombing 13.-15. February 1945 about 30.000 people died! 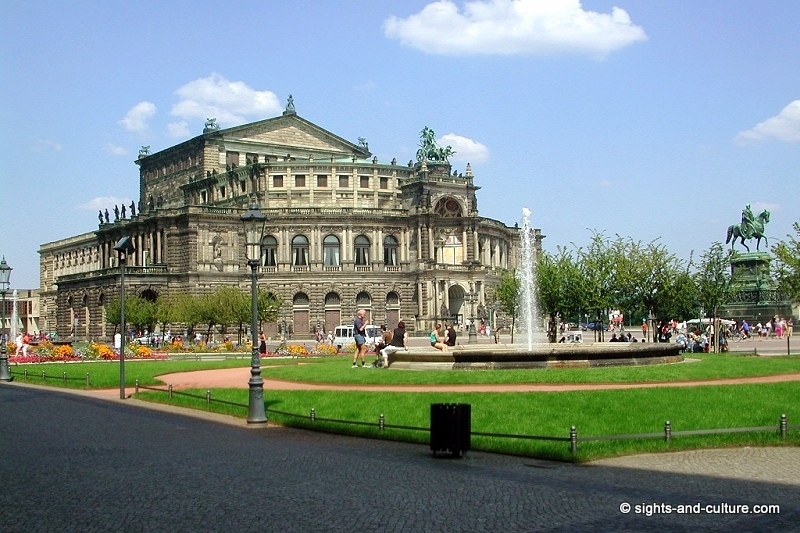 Today the city of Dresden presents itself after decades of reconstruction in its old splendour again. The faithful reconstruction of the Frauenkirche (church of our Lady) is the most recent and most beautiful examples of international solid arity with the sorely tried city. The most beautiful buildings of the baroque old town were created during the regency of August the Strong (1694 -1733), who was simultaneously also king of Poland. He was a great sponsor of the arts and enriched the saxon treasury with numerous precious objects. 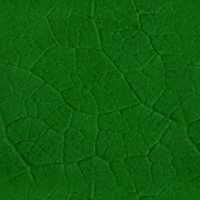 About 3000 works out of this collection are issued in the green vault. It is the largest art collection of this type in Europe. King August the Strong died in Poland, but its heart is buried in the crypt of the cathedral of Dresden (former Hofkirche). 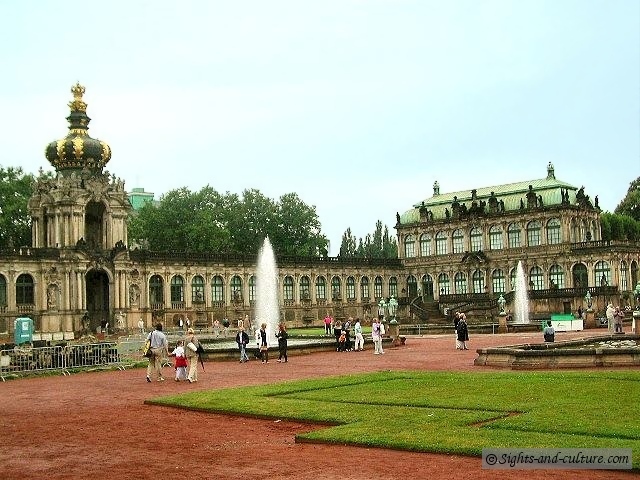 One of the most famous buildings and a must if you visit Dresden, is the Zwinger (1711-22 built by Pöppelmann). In its architecture, the baroque building is modelled on a Roman amphitheater. 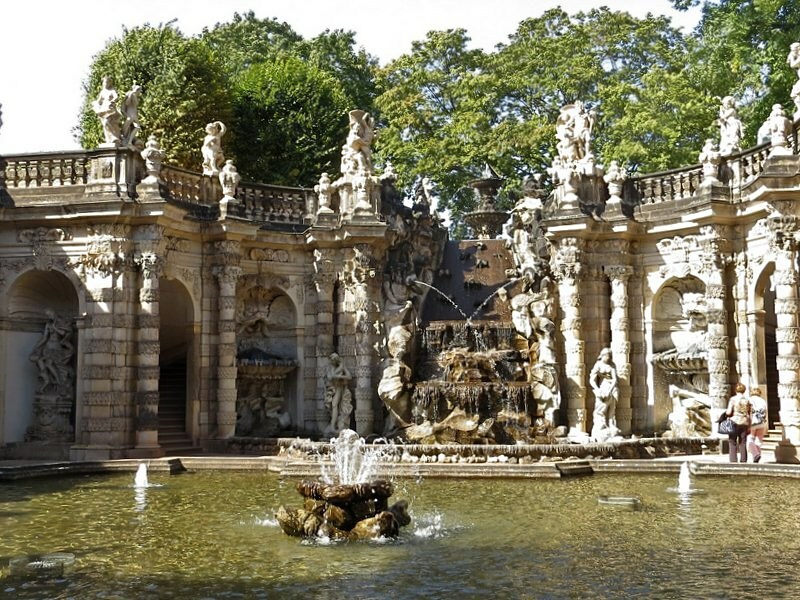 The representative festival place was determined for courtly purposes and is surrounded by Gallerien and charming pavilions. 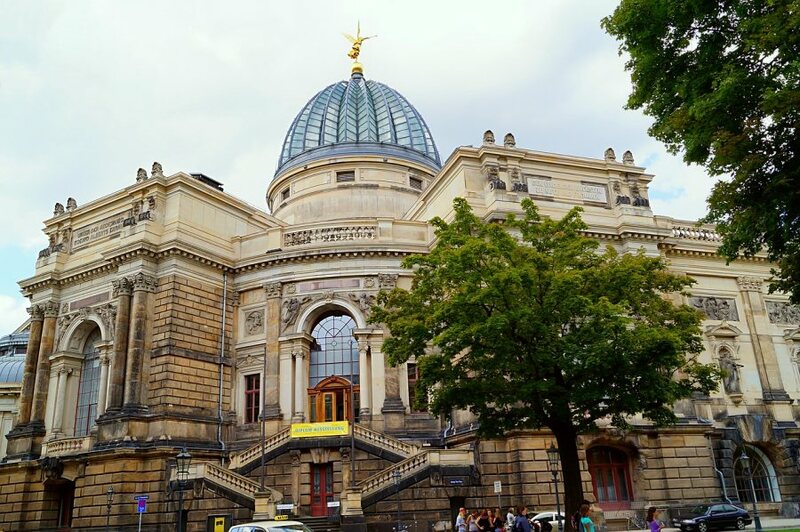 Today the Zwinger hosts valuable art collections: one of the most important painting collections of the world in the building of the Semper Gallery (north east-wing of the Zwinger, build 1847-1855 by G. Semper), the china collection of August the Strong, the Rüstkammer with a collection of historic arms u. a. m.
Discover old town on foot and enjoy the Flair and the beauty of this enchanting city; have a rest in the shadow of Brühl's Terraces, invigorate yourself in one of the numerous historic restaurants or enjoy a sail on board a paddle steamer to the numerous sights in the closer sourroundings. The Sächsische Dampfschiffahrt located at Dresden, operates the largest and oldest fleet of historic paddle steamers in the world! and provide you with a unique nostalgic experience!